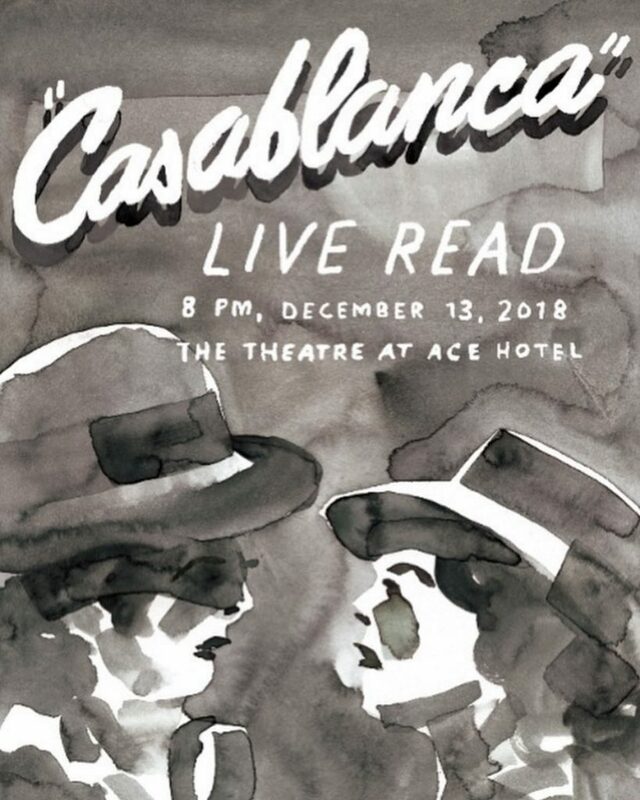 Join us on December 13, 2018 for a special live reading of Casablanca with Writer/Director Jason Reitman and Academy Award nominated actress Ellen Page! All proceeds will benefit Astraea. Come away with us to Casablanca as Writer/Director Jason Reitman, in collaboration with Academy Award nominated actress Ellen Page, brings back his acclaimed “Live Read” series with a modern diverse cast of artists reimagining the classic 1940s film. Cast members will include Ellen Page, Kiersey Clemons, Hannah Gadsby, Emily Hampshire, Indya Moore, Kate Moennig and Olivia Wilde. Enjoy an evening at the iconic Ace Theater in downtown Los Angeles and show up in true Casablanca style with your trench coat and fedora. Cocktails will be served, and nostalgic memorabilia will be available for purchase. Join us there! *All proceeds to benefit LGBTQI grassroots activists through Astraea Lesbian Foundation for Justice, which supports the bravest and most radical organizations fighting for change. For more information, please contact Astraea’s Develop Officer for Special Events, Sally Troncoso, via stroncoso@astraeafoundation.org or 212-810-4155.